Safebook: (your friend) has answered a question about you! If you see the message "[insert friend's name here] has answered a question about you!" I used my fake account to check out this scam and after clicking the link which causes the exploit, it takes you to the installation/permission page for the app Friend Expose, which is an app that seems to be spreading around rapidly. This app however appears to actually be a fraud in itself. It's only pretending to be a question app. The app tells me people answered 62 different questions about me and that I can "unlock" who said what. Seeing as I'm my only friend on this account, and on my real account I don't even have friend expose. This isn't even possible. Friend Expose gives you credits for "answering questions about friends". The app mimics question apps because it makes it even more stealthy, stealthy enough to not get caught by Facebook. I answered the question with "yes" just for shits n giggles. Immediately it shot my real account a message. Web Of Trust immediately shows Red meaning other users have rated as unsafe. 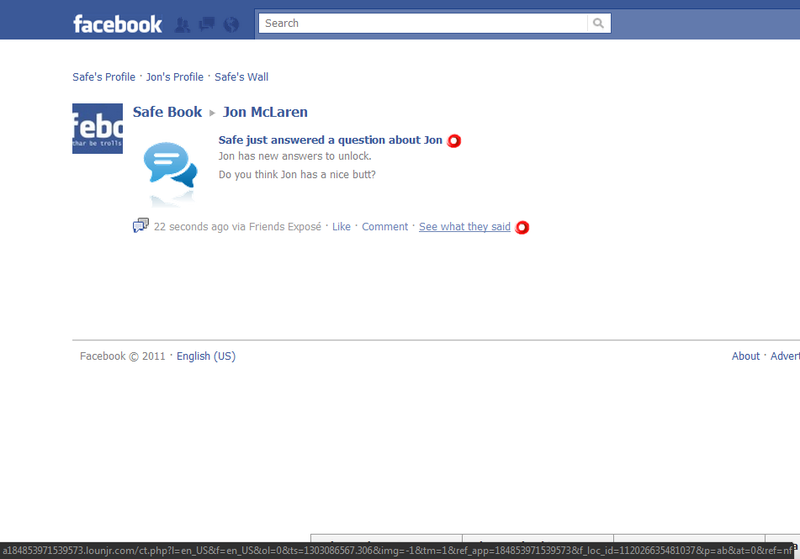 I have the web address highlighted with my mouse(shown at bottom of screenshot) This link leads to a site off of Facebook, what happens there is the browser exploit is installed into your browser without you ever seeing anything, it quickly redirects you to install friend expose if you're the user without it. This app is in essence a very very very well made scam, it cleverly disguises itself as a friendly question app when in reality it's really infecting all of your friends. The app also allows you to do surveys or use paypal to buy more credits to unlock the answers to your questions. I kept asking questions until I had 50 credits. Unlocked a question and it told me that my real account answered the question. Reality is, it just picked a random person from my fake accounts friends list, and since I'm the only friend on it, it picked me. My real account doesn't have the app and therefore CAN'T answer the questions on the app. 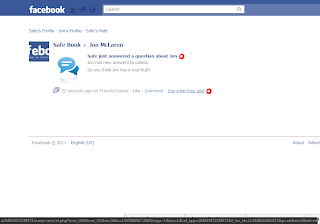 Thus a fraud to steal money exploit web browsers and spam the crap out of everyones Facebook walls. What to do if you fell for this scam? 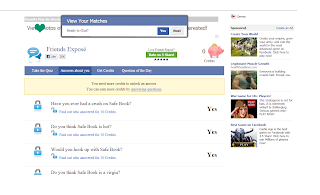 Remove Friend Expose from your Facebook account. The Browser Exploit will still be there, but your account won't have the app anymore. Next you must reinstall your browser or switch web browsers. I recommended using Google Chrome or Mozilla Firefox. I highly suggest against Internet Explorer. Let your friends know, link this article to your friends that appear to have been affected by this malicious app.